On Thursday, September 24, 2011 at 9:00 AM Eastern Time, I will have privilege of being interviewed live by Gregory Foster on Access Zen, an Internet radio show dedicated to living life to the fullest. The show will be rebroadcast at 9:00 PM Eastern Time and made available for download as an .mp3 file the following day. The topic of the interview will be Logotherapy and Viktor Frankl. The guests following me will be discuss the application of Logotherapy and meaning-centered approaches at the University of Santa Monica Freedom to Choose Service Project. The University of Santa Monica now offers a master's degree in the new area of spiritual psychology. Click here to listen to Access Zen. 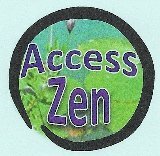 Click here for the Access Zen Facebook page. Click here for the University of Santa Monica Freedom to Choose Service Project. #26 Interview with Ernest J. Nackord, Ph.D.